My childhood memories of Telekom go back to a time when it was still called Pejabat Telecoms and served the public as a government department. 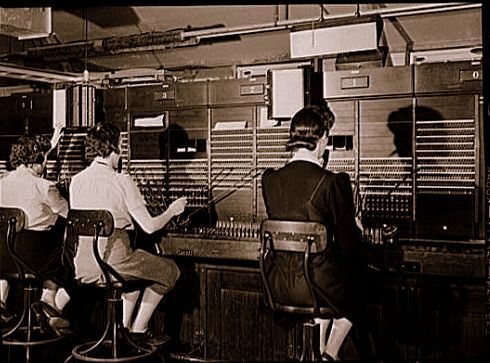 Those were days when you would find a big room full of telephone operators tasked with connecting one customer to another. When you picked up the phone, you would hear a sweet female voice saying: “Telecoms. Can I help you?” You would tell her the number or give her a name and address – and she would say, “Just a minute!” before connecting you. 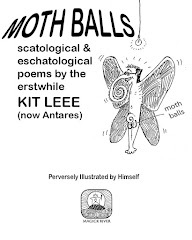 At night, you'd hear a male voice. 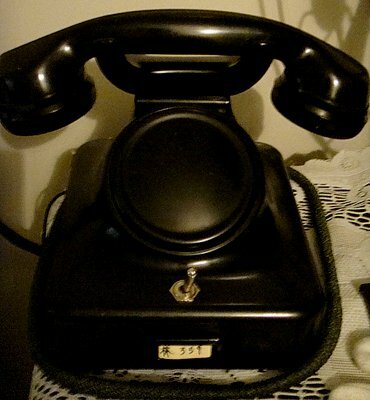 Later telephones came with a built-in dialer so you could make local calls directly without going through the operator – but for overseas calls you had to dial 108 and the operator would call you back when the connection was made. I didn’t have any personal dealings with Telecoms as a kid – although I met a telephone operator at a party and enjoyed a bit of harmless adolescent flirting whenever she happened to pick up my call. My negative perception of Telekom Malaysia began in the mid-1970s when I first applied for a telephone account under my own name. I was told I would have to wait for lines to become available in my area. 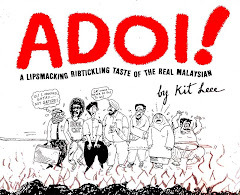 I wasn’t living in Puchong or Nibong Tebal at the time – I was smack in KL’s diplomatic enclave - 7 Pesiaran Ampang Hilir, just across the road from the Swiss ambassador’s residence. I couldn’t believe there was a shortage of telephone lines in this prestigious area. So I wrote a long but courteous and helpful letter to the Minister of Postal Services and Telecommunications. Dead silence from yet another rude and unresponsive public servant. 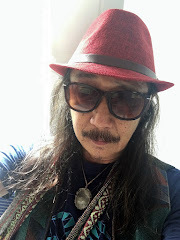 In his shoes, I would have invited the writer of that letter to a personal meeting – and offered him a contract to help upgrade telephone services and improve the public image of Telekom Malaysia. At the time I had just taken over as sole proprietor of a partnership company I had started in 1974 with two other friends. A phone was crucial to working from home. Without this basic lifeline I was forced to depend on public phones and messages left at a friend’s office. After more than a year struggling to keep the company going, I was offered a full-time job in a big advertising agency and decided to accept. Fortunately I had only one employee and he was very understanding when I explained that I was folding up the company. The phone line was finally installed, nearly two years later, when I no longer urgently needed it. 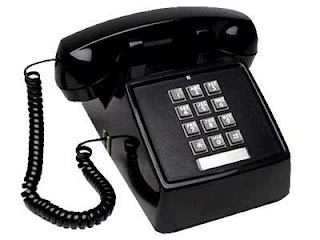 Recently I attempted to work out an approximation of how much I have paid since 1976 for the use of the basic telephone – a communication tool that has been around since 1876, though telecommunications only became a viable industry many decades later. It’s hard to get a precise figure because the fluctuations over the years have been dramatic (ranging from an average of, say, M$36 a month in the 1970s to as much M$800 in the 1980s when I acquired a taste for long-distance girlfriends). A conservative estimate would be something like RM60,000 – but it wouldn’t surprise me if the actual amount topped RM100,000. 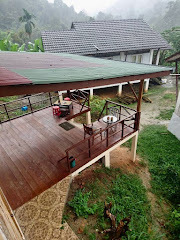 In May 2002 I optimistically applied for a land line when I relocated from Kuala Kubu Bharu town to Pertak Village about 8 miles up the Fraser’s Hill road. I was told no lines were available – the area was too remote. I wrote several letters to editors of various newspapers lamenting the poor attitude of Telekom Malaysia. None ever saw the light of day. 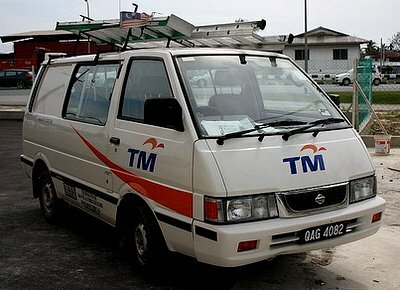 When Mahathir privatized the phone company in 1987, Syarikat Telekom Malaysia Berhad inherited the existing infrastructure along with all existing customers, which must have numbered in the millions. The company, even though now a profit-making enterprise, had a moral obligation to provide telecommunication services to all Malaysians, regardless of their location. If Telekom Malaysia had been farsighted, it would have invested at the outset in wireless telephony using communications satellites. Instead, the company opted for optic fiber cables, which they installed piecemeal – so that the high-end urban customers were able to enjoy broadband services while low-end rural users had to settle for the existing copper cable network. The result was a haphazard, piecemeal telecommunications system fraught with maintenance problems, connectivity issues, and extremely patchy service. Three years after I applied for a phone line I noticed that telephone posts were being erected along the Fraser’s Hill road from KKB. Eventually the posts reached the entrance of Pertak Village – and then stopped. Ever hopeful, I enquired at the KKB Kedai Telekom about the prospects of finally getting some service. I was informed that there was no plan to pull a line into the village just to serve one customer. 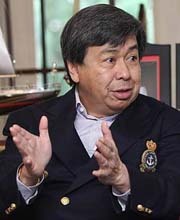 This prompted a letter to the Sultan of Selangor, c.c.’ed to a couple of dailies and the CEO of TM, pointing out the absurdity of the situation: TM had bent over backwards to provide a broadband connection to someone who only required it on very rare occasions and probably never had to pay his phone bills - yet they were unable or unwilling to extend the service to a regular paying customer. The silence was deafening. For three years I had been going to a local internet café on a daily basis, spending RM4-10 each time, and on top of that I had to fork out an additional RM60 a month on prepaid mobile top-ups. One afternoon at the internet café, somebody approached me, requesting that I park my van a little further down the road (it was right in front of the MIC branch office). “What’s going on, why are so many people coming to the MIC office?” I asked. I was told the deputy minister of rural development, Dato’ G. Palanivel, was arriving soon to meet his constituents. When I finished my session, I noticed there were still a lot of people milling around the MIC office. On impulse I went up the stairs and asked to talk to Palanivel. I explained my telephone woes to the deputy minister, who responded by asking me to exchange mobile numbers with Mr Rama, his personal assistant, who was tasked with following up on our brief discussion. To my utter surprise I got a call from Rama the very next day, informing me that his boss would be in the vicinity the following Monday and asking if I would be at home because the Dato’ was thinking of dropping by. “Most certainly I will be waiting for him,” I said. I had anticipated that Palanivel would arrive with a small entourage – but I burst out laughing when I saw that he was accompanied by a large convoy of vehicles, including a Bernama TV crew and a clutch of reporters from the vernacular press. Also in spritely attendance were officials from the Rawang branch of Telekom Malaysia, a couple of JKR engineers, and two senior JHEOA officers. “Ah, Dato’ Palanivel, how sweet of you to come all the way here,” I smiled. “Sorry, we have a very tiny veranda and can’t accommodate everybody.” So, while Palanivel and the media corps crowded round the table on my veranda for an impromptu press conference, the rest of his entourage milled about the village. With cameras flashing and rolling, Palanivel declared that it was unacceptable that there wasn’t even a public telephone in Pertak Village for use in case of emergencies. 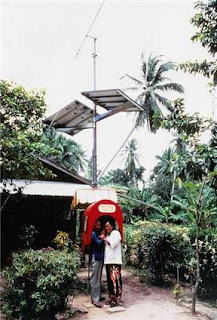 He announced that within two weeks he wanted a couple of solar-powered payphones installed – one near the sundry shop and the other in front of the headman’s house. After that, he continued, we will see to it that a proper line is pulled in. True to his word, the solar-powered payphones were installed within a couple of weeks. It took several more months for the copper line to be set up. When a TM technical crew arrived shortly afterwards to install my land line, they sheepishly told me the copper line was two poles short of my house, and that it would take another few weeks before they could extend it. And so it passed that after a 3-year wait, I finally got the land line I had applied for in May 2002. However, I had to wait another 18 months before my Streamyx account was activated at the end of July 2006. 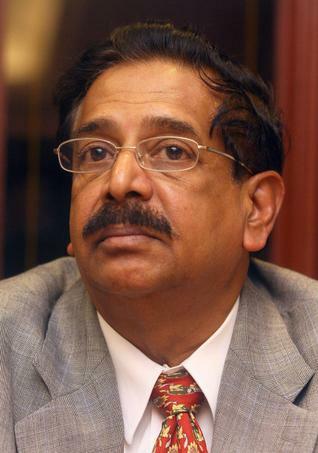 For his prompt action in facilitating my phone line, I will always have a kind word for G. Palanivel. He struck me as a savvy, down-to-earth politician, who immediately saw my complaint as an opportunity to gain a bit of PR mileage for himself. The Star carried the story the next day and I believe the press conference with this pro-active deputy minister of rural development was televised nationwide too. So this is how things work in Bolehland. You have to rope in at least a deputy minister just to obtain something as routine as a phone line. Why didn’t it occur to TM to do what they are supposed to do? Because they didn’t see me as a VIP. A totally unhealthy attitude, I must say, since most VIPs don’t even pay their own phone bills. When TM set up the Sultan’s optic fiber line, they decided to install the terminal right within the compound of his weekend lodge. The outcome was that every time there is a breakdown, the technicians must first obtain the keys from the Sultan’s security guards before they can access the terminal. And since the Sultan is so rarely present at his RM6 million lakeside retreat, the guards aren’t always where they are supposed to be. Sometimes it takes up to 3 or 4 days before the TM repair team can gain access to do their work. I experience a service breakdown approximately once every two or three months. What ought to be a 30-minute routine repair job usually takes at least a week to get done. And if sections of the optic fiber cable happen to be missing (due to vandalism or theft) I end up having to wait two weeks or more for the service to be restored. I don’t blame the TM personnel on the ground for their endemic lack of motivation. Most of them have the attitude of civil servants because they joined TM before it became privatized and many are close to retirement. The younger ones usually don’t stay very long with TM because the top-heavy management is too steeped in the feudal ethos to notice their individual abilities and reward them appropriately. Another stumbling block issues from the near-sighted manner in which TM resolved the problem of overstaffing during the privatization process. To streamline the workforce, TM must have offered an early retirement option to the veterans, while the younger staff were encouraged to start their own businesses as suppliers and given exclusive contracts with TM to install and maintain the system. With no real competition, these small-scale suppliers tend to acquire a rent-seeker mentality and become complacent. And the red tape doesn’t help either. 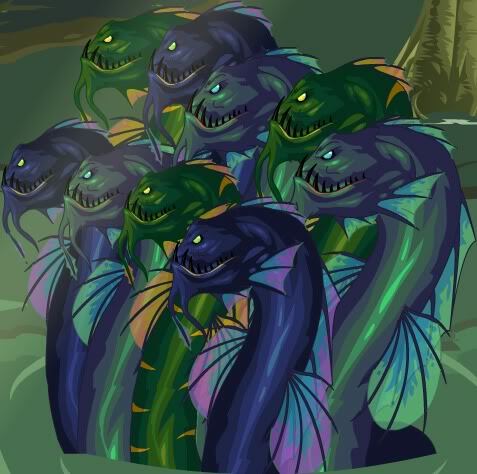 The obsession with centralized control creates a 9-headed hydra that may appear fearsome but is in fact a clumsy, inefficient monster that easily loses its sense of direction. Whenever a breakdown occurs, the local technical team often has to call in contractors from Rawang who, in turn, have to order replacement parts from Shah Alam - so repair jobs that ought to be accomplished in a couple of hours can take up to two weeks. A sorry state of affairs, unavoidable when you have an absolute monopoly and analog minds operating in a digital universe. It would be tremendous challenge indeed to be assigned the Herculean task of sorting out Telekom Malaysia. Much easier, I believe, to open the market up to innovation. Let other players in. TM could be reinstated as a public sector agency responsible for ensuring maximum access to telecommunications at minimum cost; this way it can stop focusing on profits and be content to generate enough revenue to maintain itself. As a government department TM could play a coordinating role to ensure compatibility and to ensure that vital infrastructures are efficiently maintained. There can be a happy ending yet to the sad saga of Telekom Malaysia. it's also got a problem with branding. streamyx or unifi? when my landline in usj went kaput (couldn't call out, neither could it receive calls), i went to the tm outlet in taipan to lodge a complaint. the young man who attended to me said: u bagi call 100. i say, how could we hv called its hotline if the line's dead? by the way, i notice all the young staff couldn't speak english although they could (i think) understand some basic sentences. very susah lah. @koh - The young man who attended to you at the Taipan Kedai Telekom could have so easily said: "I'll call 100 for you, please let me have the details." It's the unwillingness to go the extra mile (in this case, only a few centimeters :-) that makes the difference between a mediocre, dinosaurian monopoly and a dynamic, customer-friendly digital-age outfit. TM has become so arrogant it doesn't even automatically offer a rebate on downtime; instead the customer has to email them, and then it takes them at least two months to approve and deduct the amount from a subsequent bill. I read this post -- and its comments -- with interest and empathy. I can certainly understand the inconvenience (to put it mildly) that you have gone through. I am from TM and I write this not as a representative but as one of the many in TM that is genuinely passionate and driven by the change that is sweeping the organisation. I am not from customer service but I am here to offer my assistance to you, Antares and to koh because every customer is important to TM. So please, if you encounter further problems, do get in touch with me. For privacy reasons, I will not be able to disclose my email in this comment but you can reach out to me from the official TM Twitter account @TMCorp or our official Twitter customer service channel @TMConnects. I manage these two accounts. You can follow either one and drop your contact details via direct message. I'm sorry I can't be of much assistance at this moment but I look forward to being able to get in touch with you when I have your contact details. When I first read this post two days ago, I wanted to leave a comment but somehow, I reckoned it was a foreshadowing of what would happen to me. True enough, I had no internet connection from 8pm last night and have had my fair share of run-ins, wrong information, and being led round the mulberry bush by those on the other end of the line. They are supposed to restore it by 9pm tonight as it is their problem not mine. I doubt it. No other person in the vicinity has the same problem. Sighs. How unlucky. I am using someone's broadband. Take care and hope that things have been restored. @Amin Ashaari - Thanks for reading my long essay, bro, and for leaving such a reassuring comment. TM needs more executives with your can-do attitude. It's obvious that you're part of a new generation with a more dynamic, more flexible mindset - and this augurs well indeed. I'm happy to hear from you, that's for sure. End of the day, customers are easily satisfied - we just want to be connected - and stay connected, without feeling a constant sense of frustration. Nobody wants to be angry with any service provider - so long as the service is provided! Indeed there are many more like me in TM now and things are changing. What's important now is that we effect the change quickly and completely. In the meantime, my offer still stands, if anyone here has problems with their service, please let us know. We will do all we can to assist.